A new year is the perfect time to make a fresh start. Maybe you desire the slower pace of small-town life or perhaps you want to move closer to friends or family? Whatever the reason, we’ve got a community you will love. Here are our top places to live in 2019. Green Meadows Apartments. Tucked away in Mitchell, S.D., Green Meadows Apartments offer family living at its best. Each townhome features a patio and green space, plus there’s also an onsite playground and maintenance takes care of the lawn and snow removal. The two- and three-bedroom units feature large closets, washer and dryer hookups, appliances and window air conditioning. With excellent schools and a thriving community, Mitchell is a great place to call home. Kingston Apartments. Kingston Apartments welcomes residents 62 years of age or older, as well as those with disabilities. Kingston Apartments features a large community room complete with a kitchenette as well as on-site laundry, 24-hour maintenance, barrier-free units and controlled access. From the charming courtyard to its included appliances and large closets, this Kingsley, Iowa gem can’t wait to make itself your new home. Lakeland Park Apartments For residents 62 and older and those with disabilities, Lakeland Park Apartments in Clear Lake, Iowa offers appliances and utilities with a single rent payment. This beautiful property features several community amenities, including an on-site laundry facility, library and picnic areas and it’s located near churches, grocery stores, gas stations and is minutes from the lake. Several of our apartment homes are open-concept and barrier-free, making it even easier to take advantage of what our community and the area has to offer. Ridgewood Apartments. Akron, Iowa is a small community with a lot to love and our Ridgewood Apartments make the most of it! The complex sits a block and a half away from the library, post office and several churches. It was remodeled in 2014 with new kitchens, flooring, an elevator, geothermal heating and air conditioning. Ridgewood Apartments features 36 one-bedroom units and utilities are included. The complex also provides lawn care, snow removal and tons of opportunities for entertainment with game nights. Rosewood Heights Apartments. 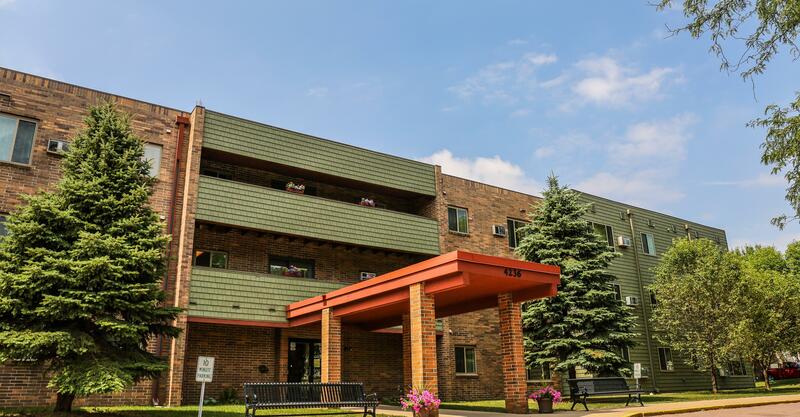 Located in Rock Rapids, Iowa, Rosewood Heights Apartments offers quality living for the elderly and disabled with a community connection. We are now able to offer some apartments at an affordable rent of $474 per month with no income or age restrictions whatsoever. Something for everyone! The 56 one-bedroom units feature pantry space and large wall closets, plus utilities are included. Sioux Falls, S.D. is only a 20-minute drive away. Somerset Apartments. Eligible residents pay 30 percent of their adjusted annual gross income at Somerset Apartments in Holstein, Iowa, and rent includes a long list of residential and community amendments. Residents enjoy apartments with new flooring, fully-equipped kitchens, large closets and included utilities. The community room, elevator and on-site laundry facility are all within a controlled-access environment. Somerset Apartments provides quality and affordable housing for persons 62 years of age or older or persons with a disability. Woodland Park Apartments. If you have a disability or are 62 years of age or older, Woodland Park Apartments in Fullerton, Neb. offers a great place to meet people, unwind with a good book or explore the local setting. Its one-bedroom country-style cottages feature well-equipped kitchens, wall-to-wall carpeting and electricity, heat and water/sewer are all included in your rental payment. Complete with a media center that includes internet, a community room and on-site laundry, Woodland Park Apartment Homes provides a quality place to live with income-based rent. Your new dream home is just a couple clicks away. Go online to download a rental application to live in one of these great Oakleaf properties!